For the past few years, events known as Community Conversations on Substance Abuse have provided a public forum for the fight against drugs. At the helm of it all is Ellen Condron. She serves as parish nurse at All Saints Catholic Church, where many of the events have taken place. 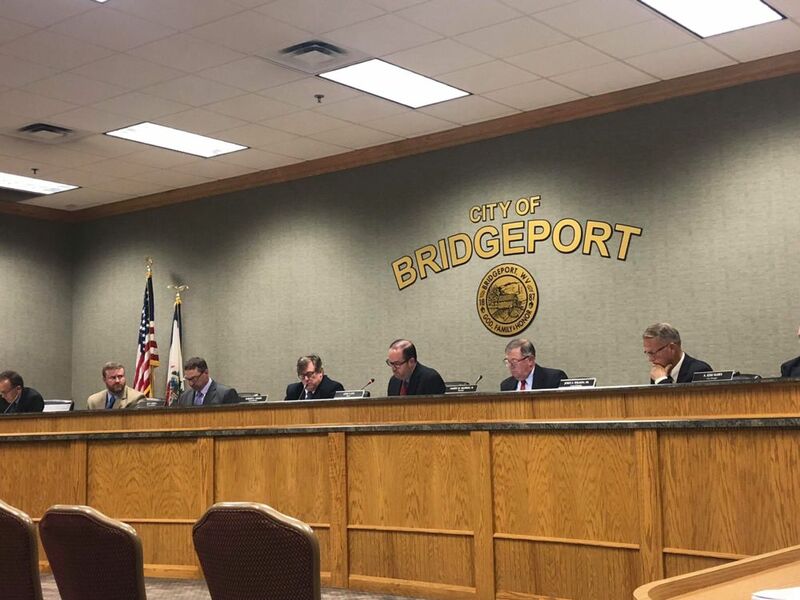 She continues to be passionate about the advocacy of a drug-free lifestyle and Monday night, she took the podium at Bridgeport City Council to talk about the next Community Conversation, scheduled for Oct. 9 at All Saints Catholic Church social hall. This time, there’s something new. Between 5-6 p.m., attendees can talk one-on-one with addiction specialists and from 6-8 p.m., Keynote Speaker U.S. Attorney William J. Powell will address those who gather and excerpts from “Recovery Boys” - a recent film which includes appearances of locals – will be shown and discussed. Condron shared that Powell looks forward to talking with area residents. “This will be the first time he’s done this in Harrison County. He’s been in this area for various reasons and met with officials, but he hasn’t talked (with members of the public) about the effects of drugs,” she said. Directed by Academy Award-nominated Elaine McMillion Sheldon, wife of Bridgeport High School graduate Kerrin Sheldon, “Recovery Boys” – according to International Movie Database - looksat the strength, brotherhood and courage that it takes to overcome addiction, the internal conflict of recovery and the external hurdles of an unforgiving society. In part, the movie was filmed at Jacob’s Ladder, a recovery center in Preston County. BHS alumna Kelsey Fogg went through her own recovery process at the center. She makes an appearance in the film, as does BHS alum Nunzio Bonamico, who worked at the center as a recovery coordinator. Fogg and/or Bonamico, as all as some other locals involved in the making of the Netflix film, will attend the Oct. 9 Community Conversation. 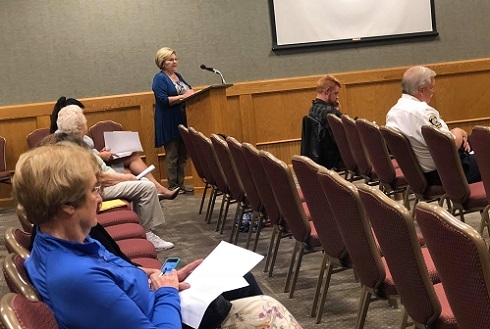 “We’ll speak about excerpts they were in and how they felt about it being a valuable resource for families trying to find help for loved ones,” Condron said. Also taking part in the next Community Conversation will be Harrison County Sheriff Robert Matheny.